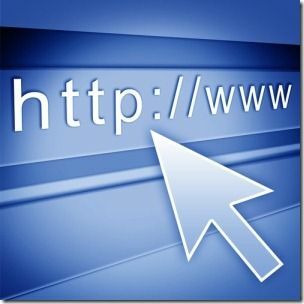 <firstimage=”//static.makeuseof.com/wp-content/uploads/2011/05/introE.jpg”> Many people swear by either Google Chrome or Mozilla Firefox, but there are a myriad of other new web browsers that are definitely worth a look. Truly, neither Chrome nor Firefox are perfect. 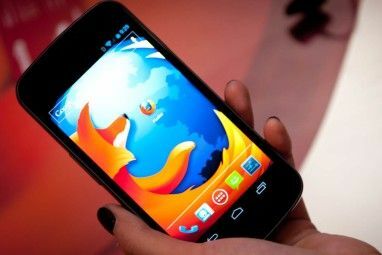 There are some features we would like to see built into Firefox (that meanwhile, we’ll just have to settle for addons The Best Firefox Addons The Best Firefox Addons Firefox is famous for its extensions. But which addons are the most useful? Here are the ones we think are best, what they do, and where you can find them. Read More ), and others that we still wonder why Chrome hasn’t bothered to include such as RSS feed detection How to Get the Functionality of Firefox's Live Bookmarks for Google Chrome How to Get the Functionality of Firefox's Live Bookmarks for Google Chrome Read More (which meanwhile can also be satisfied with an add-on). A lot of the following browsers ship with addons that you would otherwise have to obtain yourself, so they may make for a fresh breath of air. 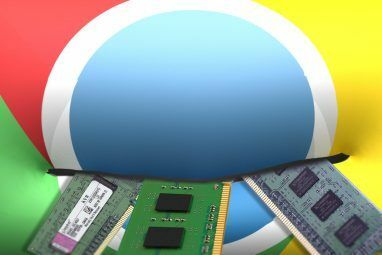 Since Google Chrome is a fork of the open-source browser project, Chromium, anything that applies to Chromium can be applied to Google Chrome, while not everything that pertains to Chrome can be applied to Chromium. For instance, to illustrate the very first point, both Chromium and Google Chrome offer Search Suggest, which presents you with a list of suggestions as you pause when you’re typing in your search query. An area where the two browsers differ is in crash reporting or usage statistics; by default, sending these reports is opt-in and disabled in Chromium. Chromium also comes without a PDF Viewer and Adobe Flash Player, but all is not lost since you can actually utilize any of the extensions in Chrome’s Web Store in Chromium. Acquiring this browser takes a bit more than just finding the Download section and clicking on the installer link. You can follow these instructions here or you can use the unofficial, portable version on SourceForge. If you like Google Chrome’s speed, but are concerned with privacy, SRWare’s Iron web browser might be for you. Since Google Chrome and SRWare Iron are based on the open source Chromium project, you’ll spot few differences. On the internal side of course, Iron doesn’t include Chrome’s information-collecting features, such as URL-tracker, error reporting, etc. Aside from those internal differences, Iron works pretty much the way you’re used to in Chrome. Chrome extensions and themes will also work on Iron, just like Chromium. To check out the portable version and the regular install in Windows, head to the website. Mac users can download Iron here, while Linux users can go to this thread. If you’re big on sharing interesting news on Facebook, Twitter and/or email, RockMelt (in beta) might be worth a look. It’s similar to Flock, the social browser derived from Mozilla Firefox, in that it targets the die-hard social media addict so it integrates notifications from sites like Facebook and Twitter. It comes with a few tricks of its own though, the iPhone app [iTunes link], which syncs your items marked to read later, as well as bookmarks. Though RockMelt doesn’t support Google Sync, you can sync your RockMelt browsers across PCs and Macs with your Facebook account. A few things have changed since we last reviewed Wyzo Beta - The Web Browser for Downloaders Wyzo Beta - The Web Browser for Downloaders Read More Mozilla-based Wyzo, but it remains the most useful browser for the frequent downloader since it comes with FireDownload, a download accelerator, and FireTorrent, an extension that turns this browser into a torrent client. One new feature in Wyzo 3 is the inclusion of SkipScreen, the extension that allows you to skip waiting screens from popular file-sharing sites, such as MegaUpload and the like, while it no longer seems to ship with CoolIris Embed a 3D Photo Gallery in Your Website With Cooliris Embed a 3D Photo Gallery in Your Website With Cooliris Read More and FireGestures. We first took a look at Maxthon in 2008, where we noted that Maxthon began as an extension of Internet Explorer and so, it uses the same rendering engine. These days, Maxthon supports both the Trident rendering engine (which is the layout engine for IE, so you can still view IE-optimized websites) as well as Webkit, which powers Google Chrome and Safari and renders Maxthon’s Ultra Mode, loading pages almost instantly. In addition to its dual display engines, Maxthon also has a sea of nice features, such as mouse gestures, bookmark sync with Maxthon Passport, speed dial, popup blocker, online notepad, RSS reader, instant translator, screen capturing tools, and resource sniffer, which detects all video, image, and audio links on a website. The Android app also has a few of these features, namely the RSS reader, speed dial, download manager and gestures. In addition to extensions, Opera contains a few more impressive features that make it stand out from the crowd. With Opera, you don’t need another desktop mail program, torrent client, or web server, as Opera offers these services. 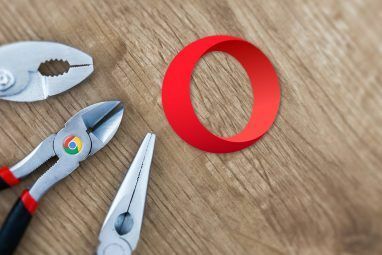 Since Opera also offers browsers for mobile phones and tablets, you can use Opera Link to sync your bookmarks, speed dial, custom searches, etc. Opera users also get a free space on the My Opera community, that they can use as a blog or to share files. One additional cool feature that we should mention is Tab Stack, which is one among many other tab management features How to Manage Tabs in Opera Like a Pro How to Manage Tabs in Opera Like a Pro Read More Opera has, and can help you not only group tabs, but also streamline your workflow. IE9 is heaps better than its predecessors, and sports a more minimalistic look, but perhaps the biggest feature it has over other browsers is, without a doubt, its integration with the Windows OS. Jumplists definitely take advantage Exploring The New Internet Explorer 9 Beta Exploring The New Internet Explorer 9 Beta Read More of sites like Twitter and Facebook, which behave more like applications, and make some functions more seamless. Have a favorite new web browser that wasn’t listed? Share it with us in the comments! You realize this was made in 2011, Vivaldi came out in 2015, so its not accurate anymore. Vivaldi is a good browser now, but it didn't exist back then. Thanks - that's what I am going for after reading this post. Thanks for the article. I normally use Chromium, but for school websites and online classes I was stuck with IE or safari neither of which I like. Maxthon is working great on those sites. I may be able to completely get away IE! I'm not aware of any issues with MakeUseOf.com in Firefox or Internet Explorer, it works perfectly on my end. It is more likely an issue on your end. Our tech expert suggested ad-blockers. It could also be toolbars that were installed on these two browsers, but not on Opera, that generally affect your browsing experience. If you continue to have problems viewing MakeUseOf.com and would like to solve them, please ask a question on MakeUseOf Answers and describe your software situation and the symptom/s in more detail. Thank you! Overall, Maxthon is by far the best taking into account compatibility (dual engine Webkit+Trident ), speed (optimized webkit engine plus fastest Java rendering) and lots of integrated features (not just add-ons) and customization options. For example, it includes a built-in ad hunter for rendering the pages without banners. By the way, this cooooool feature is not mentioned in the report. Thanks for the tip on the ad-hunter! I didn't notice the feature when I was testing Maxthon out unfortunately. Wyzo looks promising. However, I doubt that most of these will make a dent in Chrome's and Firefox's user base. Chromium base ones are awesome. Personally, I like using Chromeplus. One of the pros I dig a lot is that Mouse gestures are highly customizables and they work on EVERY page, unlike Chrome on the extension pages and others. Thanks for your new browsers, I will try some of them soon, but I think Firefox is the best. I use Firefox as my default browser. I9 is at the end of the list and its paragraph has 4 lines for a reason. :) It's just kind of impossible to talk about new-ish browsers without mentioning IE9. Your comment sounds like a small frustrated Apple worm! I agree. By far, out of the seven browsers I keep on my computer, it is the SLOWEST! I still have to use it for most government tax payment sites, but that is it for me. I will be happy when it is gone for good. Chrome is my main browser. Maxthon has two cores, so it's like having Chrome and IE in the same browser. Webkit core (like Chrome or Safari) gives speed and Trident Core (like IE) gives compatibility with older pages that are not shown properly by the newest browsers. Maxthon switches automatically to properly compose the page on screeen, and you can also manually do it whenever you want, just with a clic. I personally use mostly Mozilla and Chrome. But Opera is great choice from the list you mentioned. I use opera in my office, useful browser. Opera is not a "new" web browser! The only difference between these browsers and the default Chrome/Mozilla is that they have a different philosophy behind UI design or simply bundle some extensions. The actual rendering engine used is still from the parent browsers. That applies for all browsers in the list, except for Opera since it uses Presto, which I believe is proprietary. Well, there's another Chromium-based browser not mentioned in the article: it is Comodo's DRAGON. That's a new one for me. How do you like it compared to Chromium/Iron/Chrome? Epic is another browser that may be worth a look. I use it to run older add-ons that are not yet compatible with the new Firefox 4 browser. Out of the browsers you've listed above, I like SRWare Iron and Opera. Simon actually reviewed Epic Browser last year here. It looks pretty interesting. Epic has some definite options that I love. The bar down the left that takes you to job searches, is just one of them. I also used it for housing searches and it was terrific. I would love to see a version come out for the US! I'll have to check it out. Thanks for the suggestion!